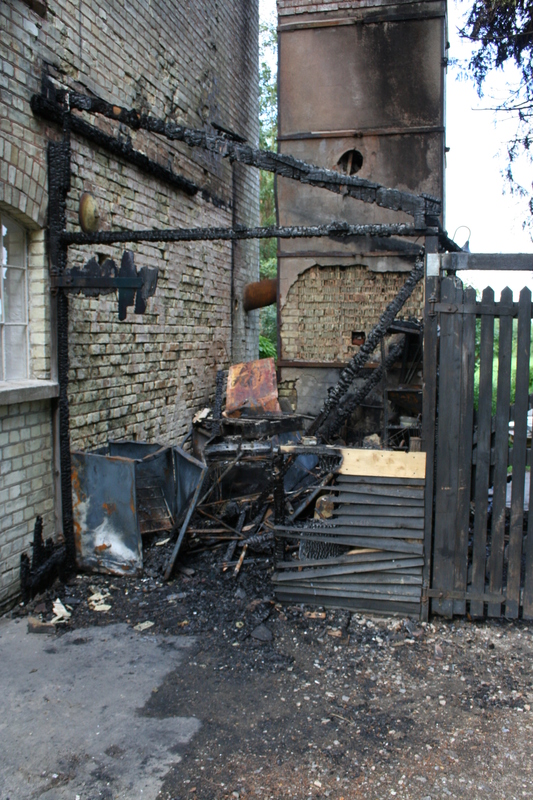 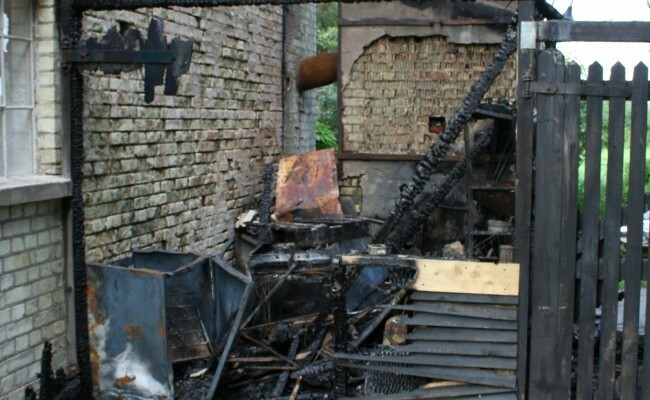 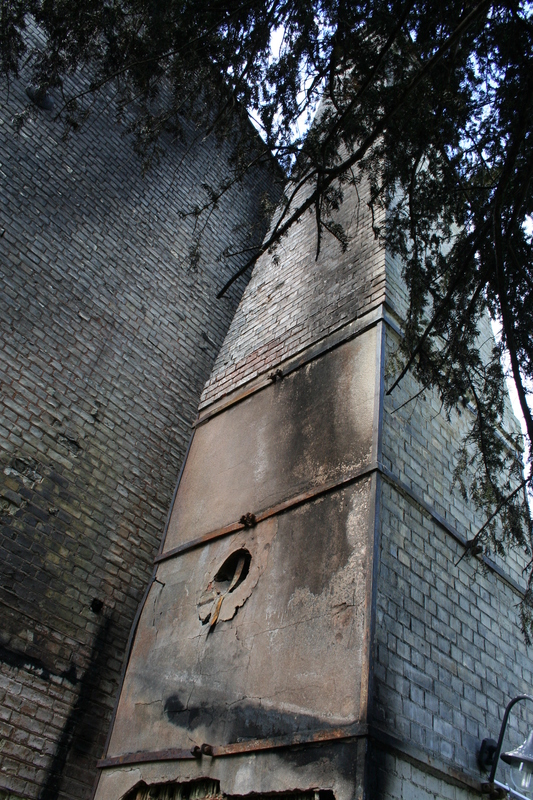 In August 2012 a fire ripped through a timber lean-to alongside Parndon Mill. 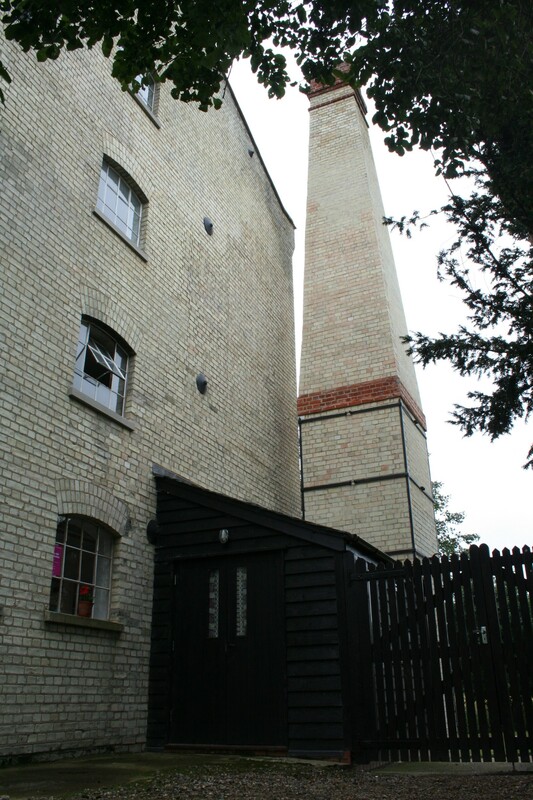 As we are based at The Mill we offered to carry out the necessary design work to ensure that the lean-to was rebuilt - an offer that was accepted with some speed! 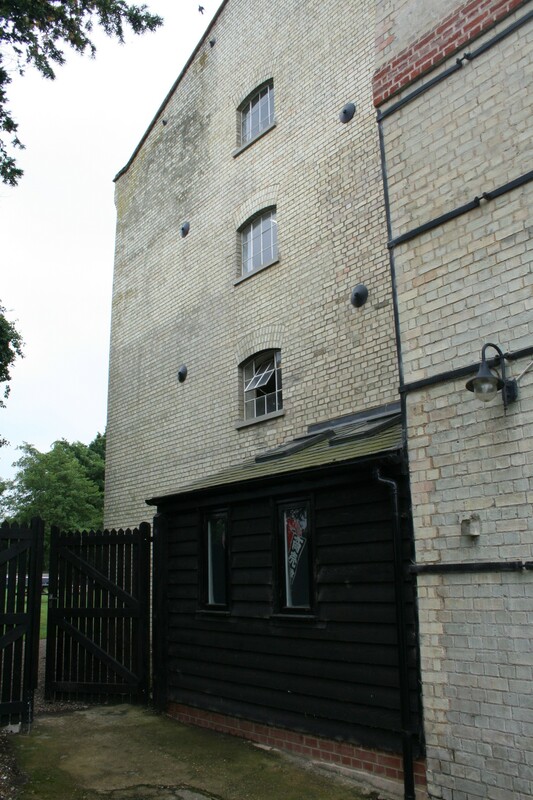 Roger and Sally who run The Mill decided that this was an opportunity to create an additional studio space rather than simply reproviding storage as this would 'fit' with the wider ethos of Parndon Mill. 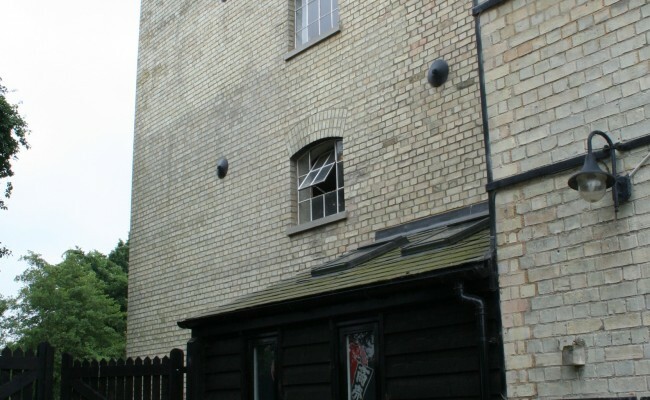 The studio was duly designed and Listed Building Consent granted by Harlow Council. 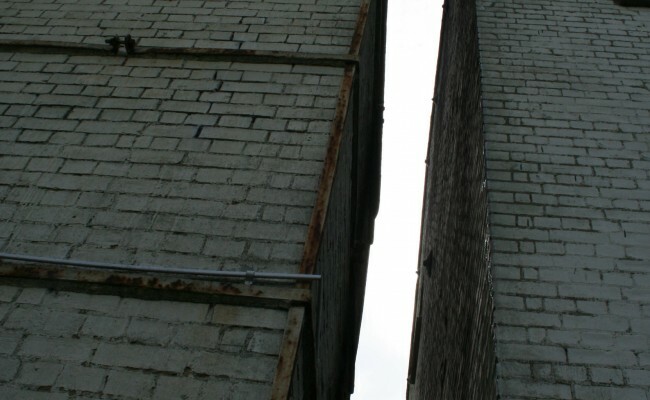 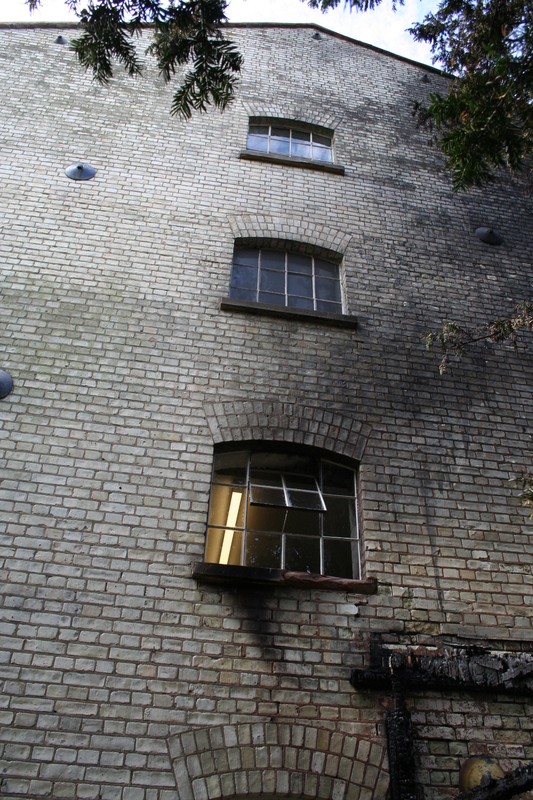 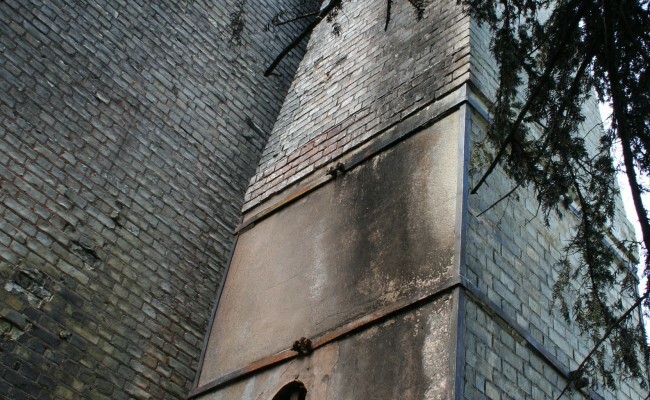 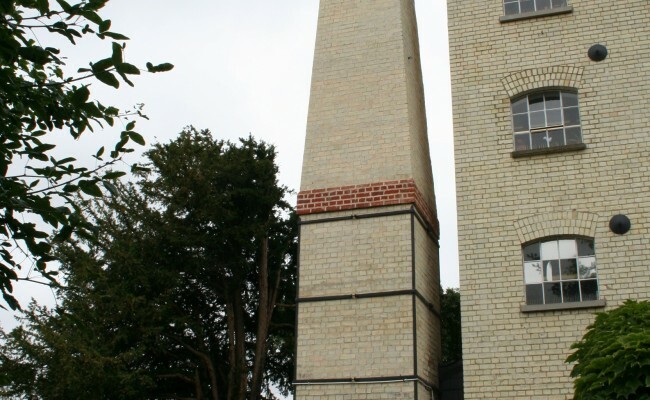 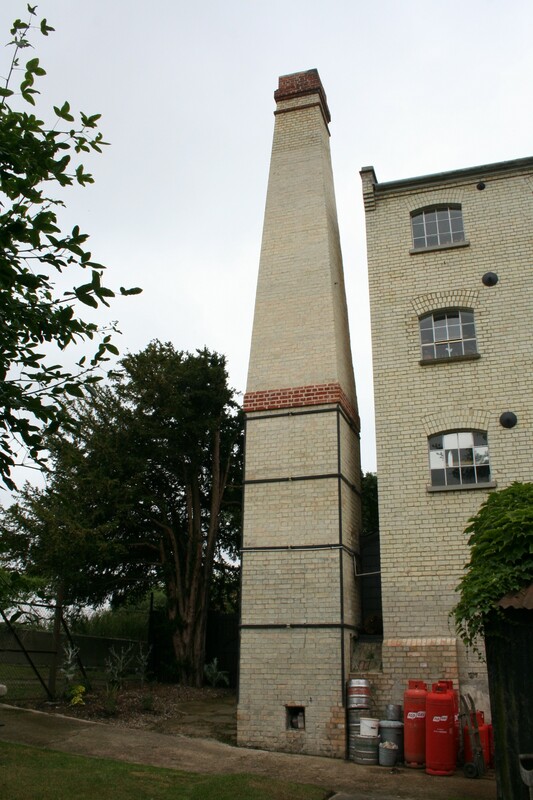 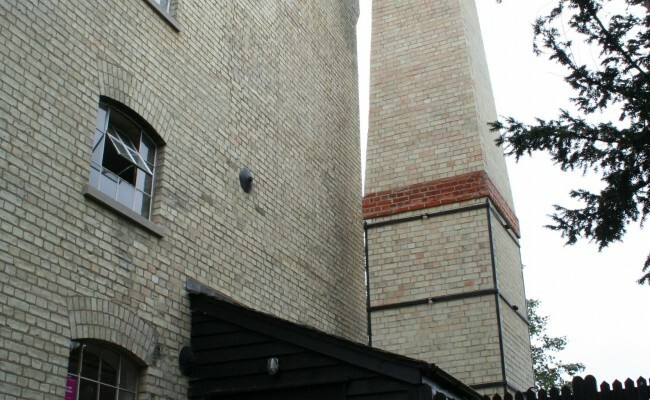 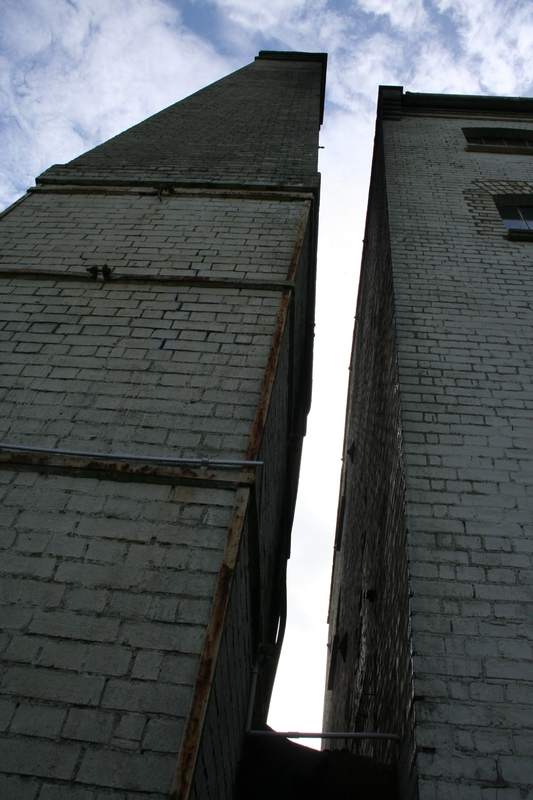 In obtaining Building Regulations Approval the structural integrity of the existing chimney stack was assessed and stabilising works carried out whilst, at the same time, the soot stained brickwork was cleaned. 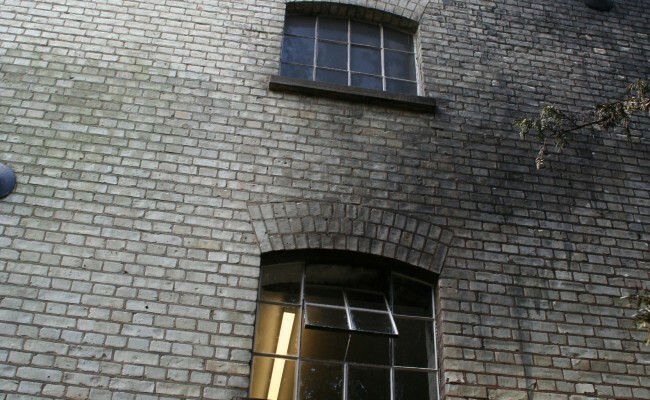 The works were carried out, in the main, by volunteers and the final result is modest but effective!